Doing Southgate justice with a single photo was very hard indeed. The ideal shot from Winchmore Hill Road was blighted by heavy cloud cover and poor lighting conditions. Southgate is of course one of the most famous and most photographed of all the Holden stations, if not all tube stations all together. Designed to look futuristic, Southgate was way ahead of it’s time. An illuminated Tesla coil sits aloft a flying saucer shaped ticket hall. 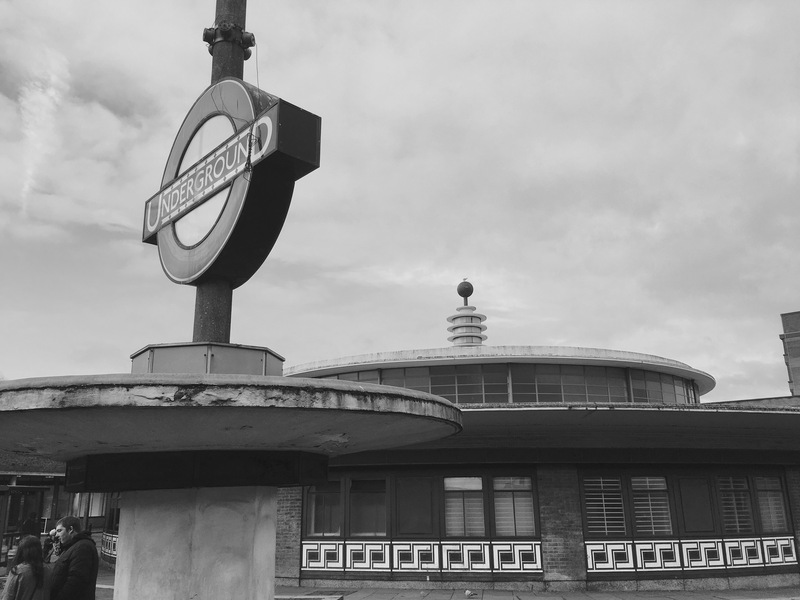 It’s complemented and flanked by roundels sitting on top of circular bus shelters. Architecturally Southgate is quite something, but sadly it’s last renovation was nearly 10 years ago and it’s now starting to look quite tired.